Arms races among invertebrates, intelligence gathering by the immune system and alarm calls by marmots are but a few of nature's security strategies that have been tested and modified over billions of years. This provocative book applies lessons from nature to our own toughest security problems—from global terrorism to the rise of infectious disease to natural disasters. 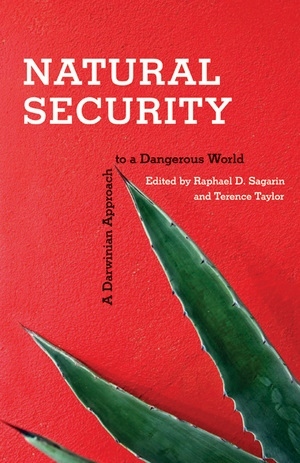 Written by a truly multidisciplinary group including paleobiologists, anthropologists, psychologists, ecologists, and national security experts, it considers how models and ideas from evolutionary biology can improve national security strategies ranging from risk assessment, security analysis, and public policy to long-term strategic goals. Raphael D. Sagarin is Associate Director for Ocean and Coastal Policy at The Nicholas Institute for Environmental Policy Solutions at Duke University. Terence Taylor is the President and Director of the International Council for the Life Sciences. He previously served with the United Nations as a Commissioner and Chief Inspector for Iraq on weapons of mass destruction and was a career officer in the British army. Why Does It Take Disasters to Trigger Change?